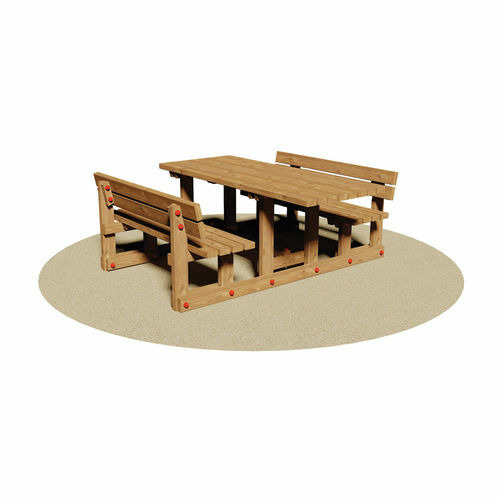 Outdoor table and bench set Pitagora. Composed by a table which allows the use to disabled people and two benches with back. The backs composed by boards section mm 110x45 while seats and top of the table composed by boards section mm 90x45. The two benches and the table are firmly joined through two beams fixed in the lower part of the feet. Assemled by galvanized steel bolts. Everything is supplied with an assembly kit.